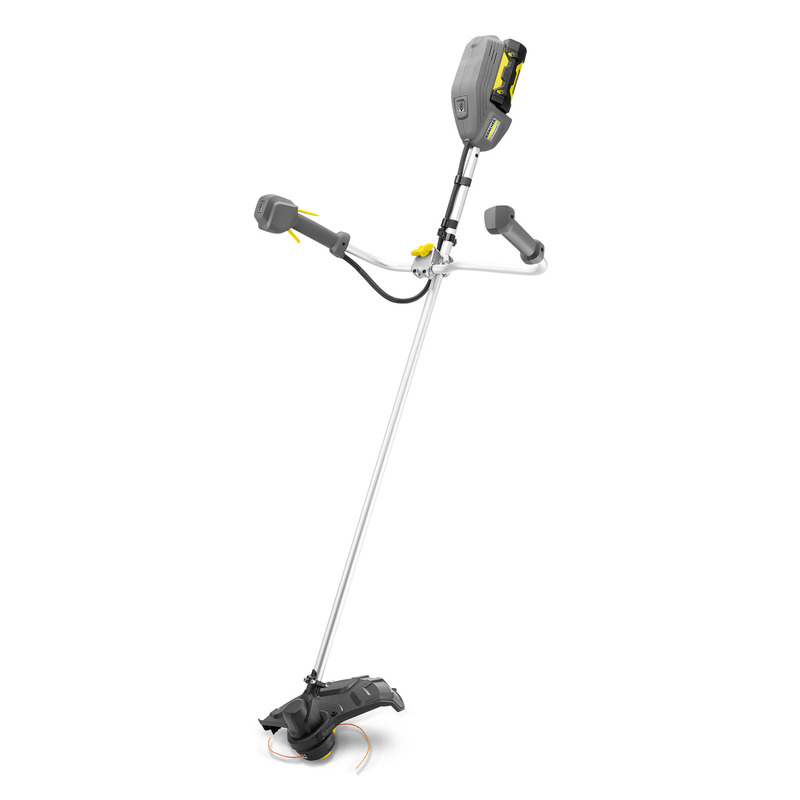 Kärcher ST 400 Bp 14421120 https://www.kaercher.com/uk/professional/outdoor-power-equipment/kaercher-st-400-bp-14421120.html The Kärcher professional strimmer operates with 50 V lithium-ion battery technology, delivering impressive performances particularly in maintenance of greens and difficult to reach areas. The Kärcher professional strimmer operates with 50 V lithium-ion battery technology, delivering impressive performances particularly in maintenance of greens and difficult to reach areas. 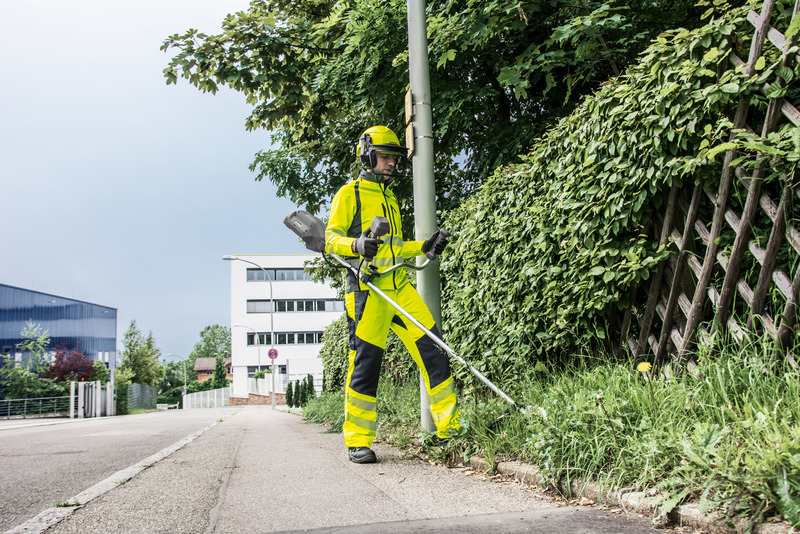 For areas which are difficult to access, such as around park benches, edges of curbs or road markers, we have developed a professional battery-powered strimmer, ST 400 Bp, to complement our range of municipal equipment. The lightweight power pack also operates as an alternative to petrol-operated trimmers in the removal of weeds in large green areas. Thanks to its low operating noise, compared to its petrol-operated counterparts, it can also be used in noise-sensitive areas such as residential areas, schools and hospitals. It is long-lasting and powerful thanks to the innovative 50 V lithium-ion battery and also works with zero-emissions, protecting both the user and the environment. Its vibration-free handling and ergonomically adjustable two-handed grip, allows fatigue-free operation over long periods of time. Please select the battery appropriate to your requirements and the relevant battery charger.